The conference itself will be held at UCSD's Price Center, which is just south of the scenic Geisel Library. Conference events will be held in the Ballroom West and adjacent meeting rooms. 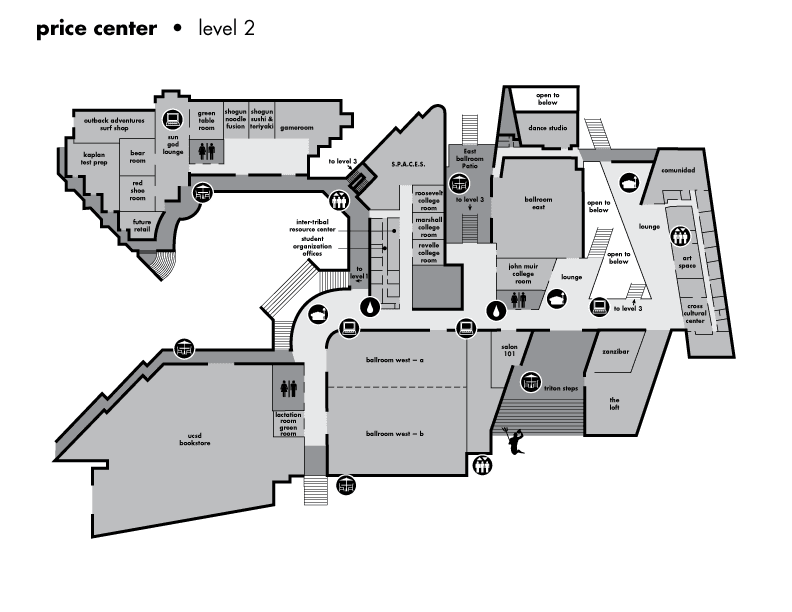 The Price Center contains a number of lunchtime dining options (lower level, not pictured), a large bookstore, restrooms, elevators, and a lactation room (key code entry). The on-campus housing is located in Warren College (map below), just northeast of the Price Center. To check in, go to the Warren Conference Desk, open daily until 9pm. Even if you arrive later, you should still be able to check in, just let us know. Stay tuned for even more info!